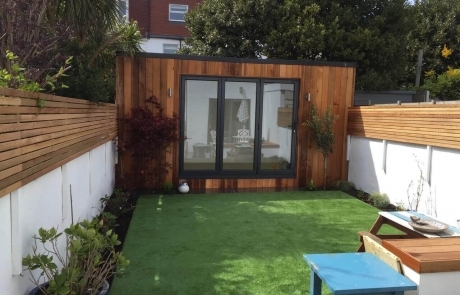 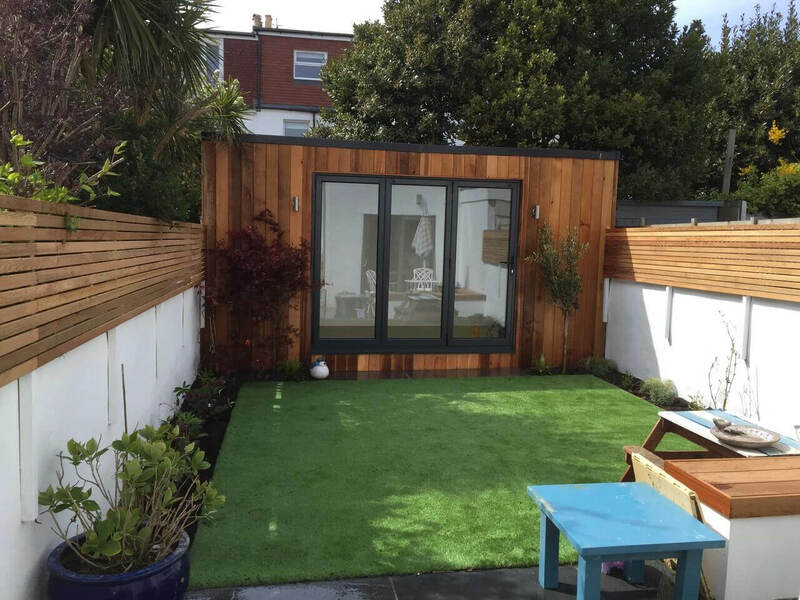 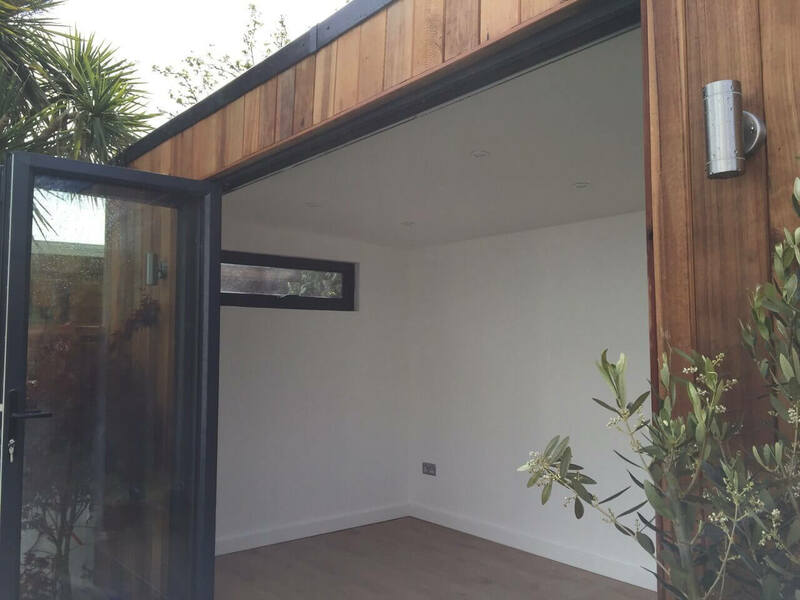 We built this room for Gail’s children, spanning the width of the garden of their terraced house in Hove. 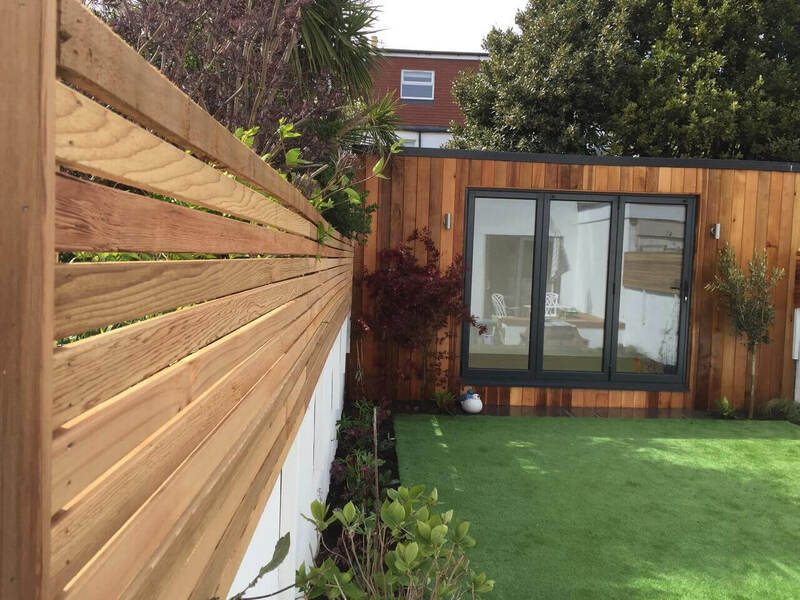 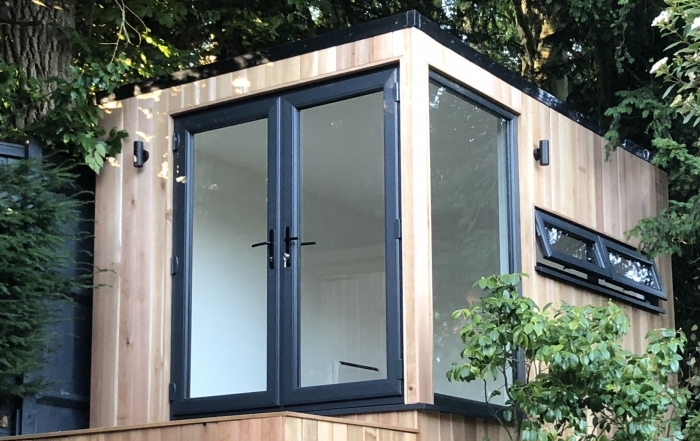 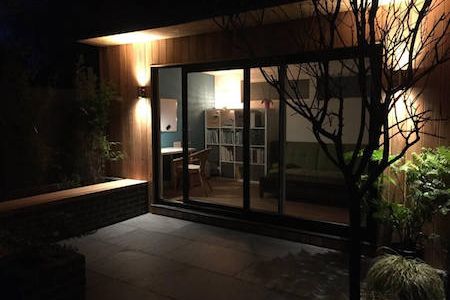 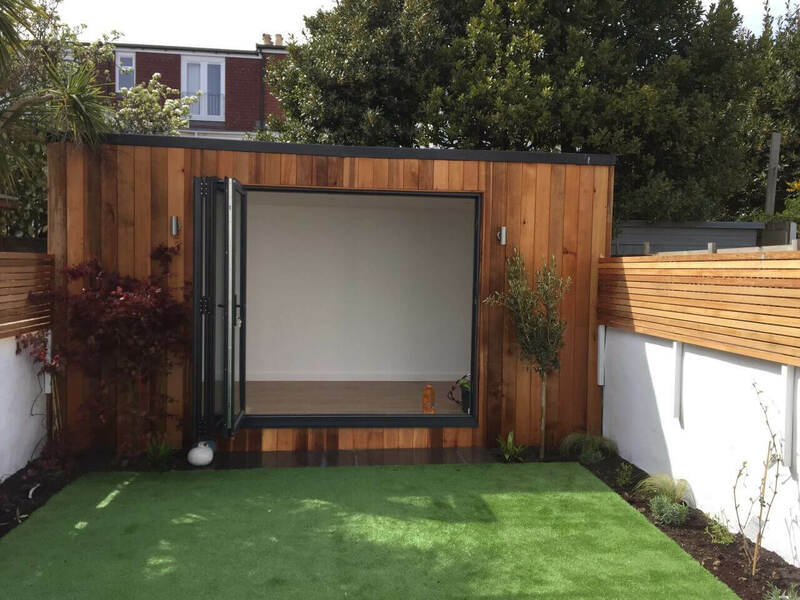 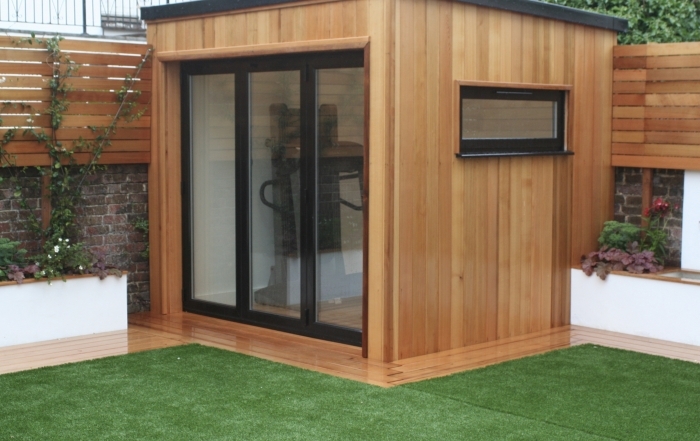 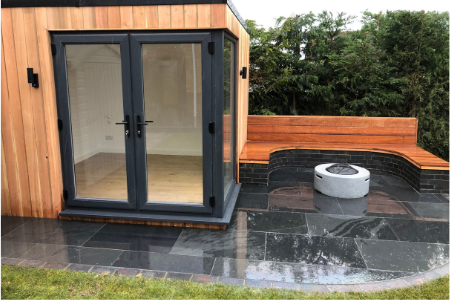 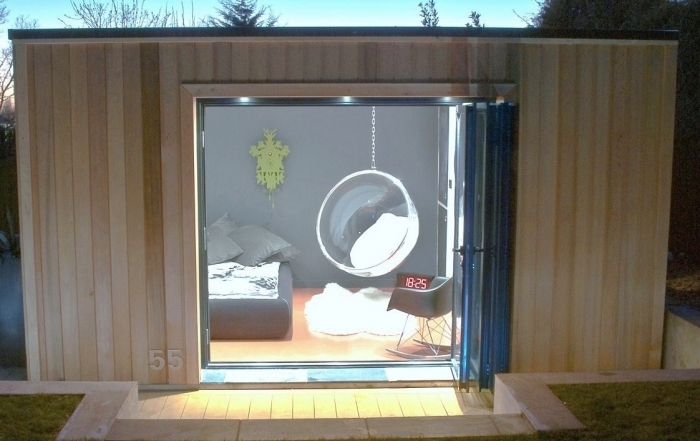 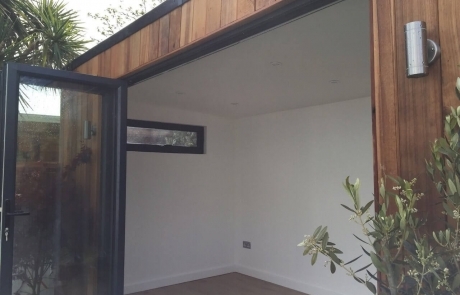 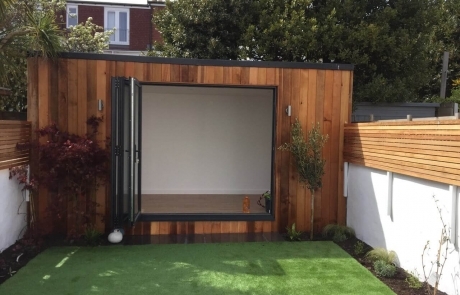 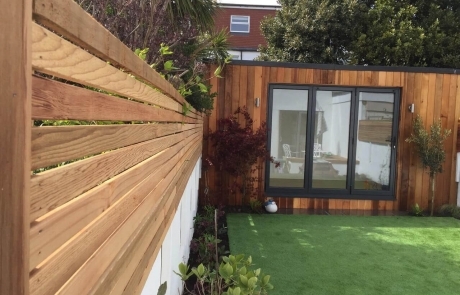 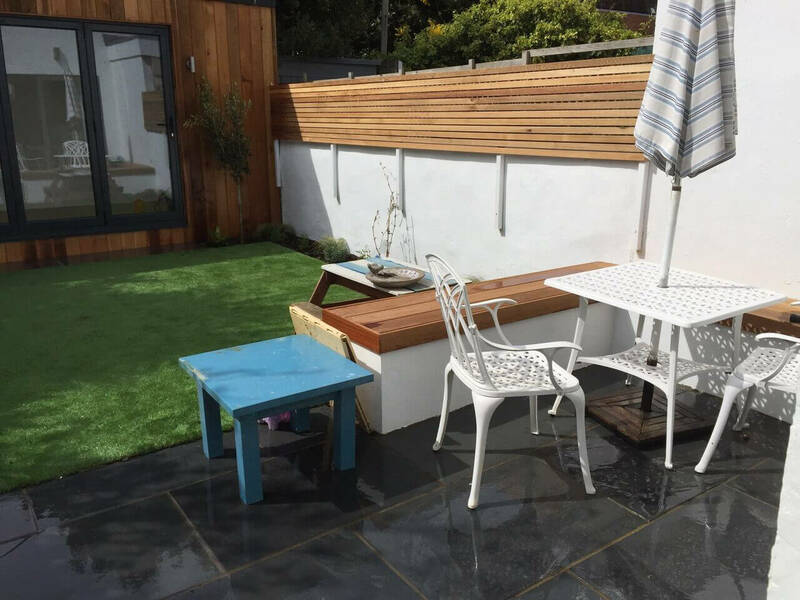 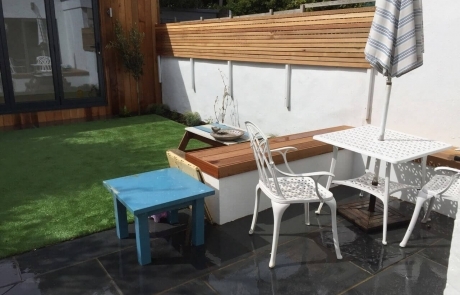 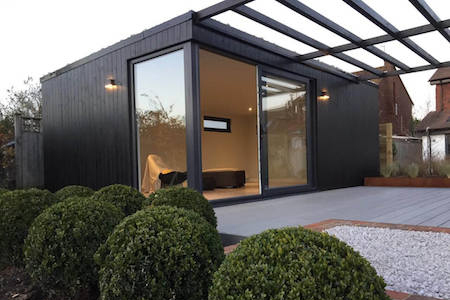 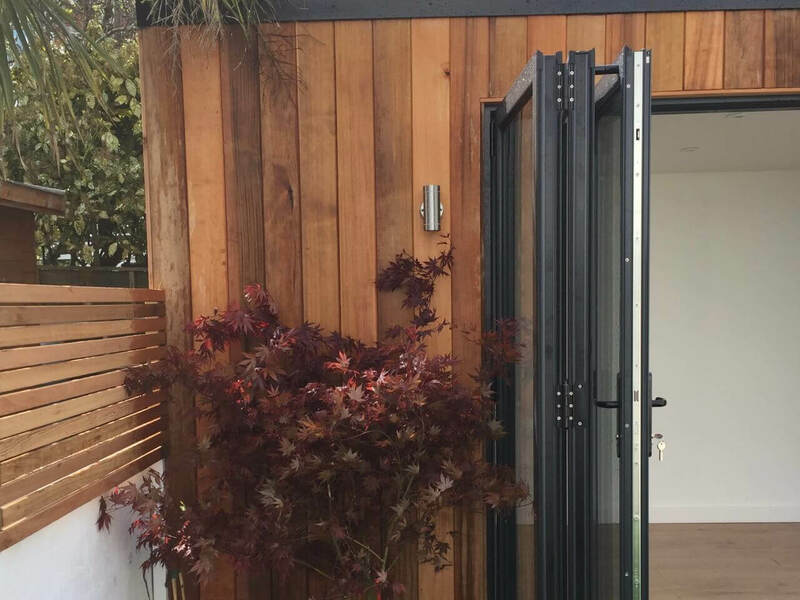 We also landscaped the garden, creating a dark granite patio area, with storage bench – topped with Balau wood to match the studio’s cedar cladding, a hard-wearing artificial lawn and low maintenance planting in the borders. 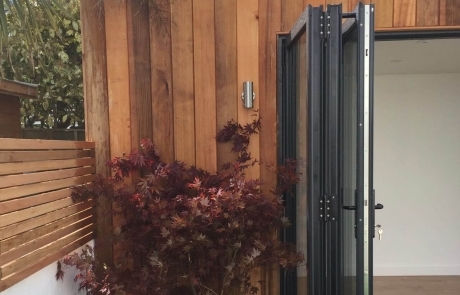 Happily, the glass we use in our bi-fold doors is toughened to withstand footballs!